Nearly thirty-million Americans have diabetes, according to the American Diabetes Association. Dr. Michael LeMay is a Hartford HealthCare endocrinologist. Q: What is the difference between Type 1 and Type 2 diabetes? A: Both types of diabetes are chronic diseases that affect the way your body regulates blood sugar, or glucose. Glucose is the fuel that feeds your body’s cells, but to enter your cells it needs insulin. People with Type 1 diabetes don’t produce insulin. People with Type 2 diabetes don’t respond to insulin as well as they should and later in the disease often don’t make enough insulin. If not managed, both types of diabetes can lead to chronically high blood sugar levels, which can lead to serious complications. 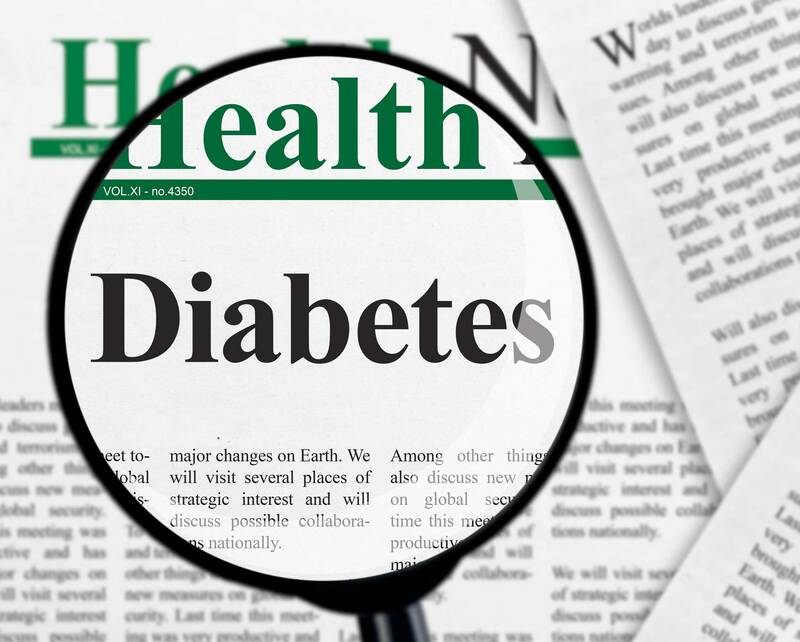 Q: What are the symptoms of diabetes and how is it diagnosed? People with Type 1 diabetes may experience irritability and mood changes, and unintentionally lose weight. Many people with Type 2 diabetes won’t display symptoms for many years, and may develop slowly over time. Some people with Type 2 diabetes have no symptoms at all, and don’t discover their condition until complications develop. Type 1 diabetes symptoms develop fast, typically over the course of several weeks. Type 1 diabetes, which was once known as juvenile diabetes, usually develops in childhood or adolescence, though it is possible to be diagnosed with Type 1 diabetes later in life. Q: What are some of the treatment options available at Hartford HealthCare to both Type 1 and 2 patients? A: There’s no cure for Type 1 diabetes. People with Type 1 diabetes don’t produce insulin, so insulin must be put into the body through multiple daily injections or a pump. Type 2 diabetes can be controlled – and sometimes even – reversed with diet and exercise, but many people need extra support. If lifestyle changes aren’t enough, there are medications that help the body use insulin more effectively. Monitoring your blood sugar is an essential part of diabetes management because it’s the only way to know if you’re meeting you are staying in the target blood sugar range. Q: What lies ahead in the development of new treatment options for patients? A: For Type 1 diabetes, there are many advancements, including insulin pumps that connect to smart phones. There also different continuous glucose monitors, which use Bluetooth technology to send blood sugar readings to a smart phone every five minutes. The future of diabetes treatment includes an “artificial pancreas,” which we should see in a few years. This device uses a continuous glucose monitor to enable it to adjust insulin on a minute-by-minute basis, including insulin boluses when the patient eats, and it will actually contain another hormone, glucagon, as a counterbalance if there is a low blood sugar reading. The patient will, actually, be wearing a “pancreas” on his or her belt to both control high blood sugar and prevent or treat low blood sugar. For Type 2 diabetes, there are multiple classes of treatment medications. Within each class are several different types of medications. One new class prevents glucose from being absorbed in the kidneys. As a result, these medications help decrease the glucose in the blood and its spillage into the urine. There are also some non-insulin injectable meds that increase insulin secretion from beta cells and suppress glucagon secretion. To learn more about your diabetes treatment options, call 1.855.HHC.HERE (1.855.442.4373), or click here.